Motiv Power Systems has delivered the first of 20 of its ERV electric garbage trucks for the city of Chicago, the first all-electric garbage truck in all of North America. The Motiv ERV, or Electric Refuse Vehicle, has enough driving range for 60 miles of city driving and 70 compaction cycles, which makes it perfectly suited to waste management duties, and it is also a money saver to boot. 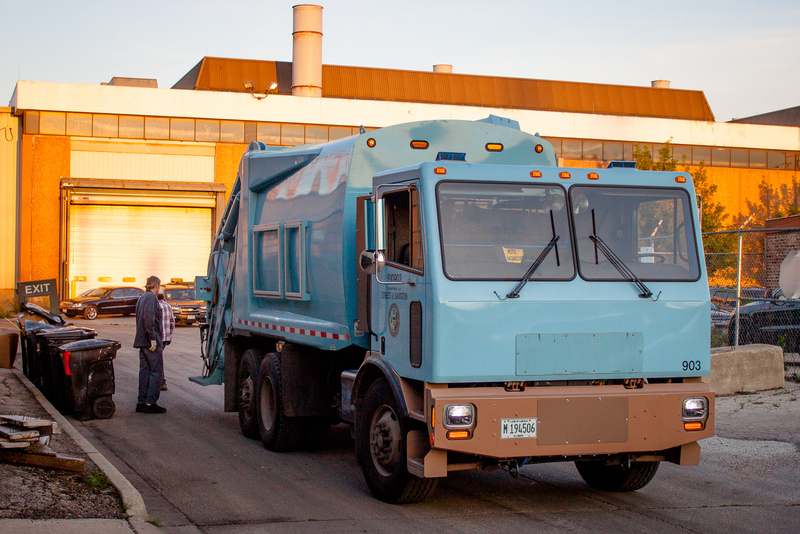 The $13.4 million deal between Motiv and Chicago was signed back in 2012, and gave the startup the capital to build the cheaper-to-operate electric garbage trucks. Motiv estimates that it has reduced costs to just 10-cents a mile with its zero emissions medium-duty pilot project, compared to 80-cents per mile with standard diesel trucks. The company used mostly off-the-shelf parts for their garbage trucks, including a 20-yard Loadmaster Excel S rear-loader body and a Crane Carrier chassis, keeping the cost of the ERV to about $670,000 each. Having been roused from my slumber early yesterday morning to the roaring churn of a diesel-powered garbage truck lumbering up my street, I am at this moment a huge proponent of anything that dampens that racket. One of the biggest benefits to electric drivetrains is their quiet operating nature, and big, typically diesel-powered transit and public service vehicles are some of the worst air and noise polluters. Motiv says its electric garbage trucks ultimately reduce operating costs by 50% over an eight-year lifespan. Power comes from ten 20 kWh battery packs, totalling 200 kWh of usable energy total, which lets the ERV haul as much as 9 tons of refuse per trip. Using a Motiv Universal Fast Charger, the big battery bank can be recharged in just 8 hours. Each ERV is estimted to save 2,688 gallons of diesel fuel annually, a savings of over $10,000 each year in diesel costs.